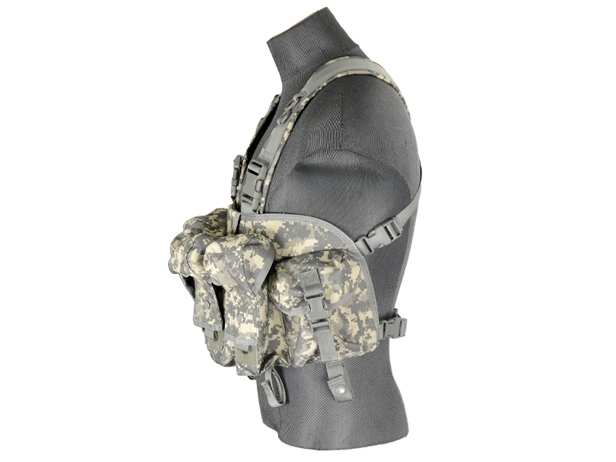 The Lancer Tactical CA-308 Integrated AK Chest Rig in ACU is a dedicated platform designed for those using AK style guns. Configured with 4 integrated dual magazine pouches that can hold 2 AK sized magazines in each pouch to give you a total carrying capacity of 8 magazines. Two additional utility pouches can be found on both sides of the rig to help carry everything else you will need whether its ammo or grenades. 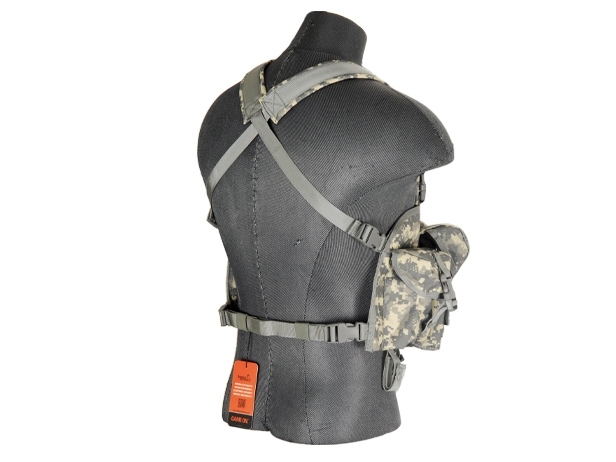 The entire system is held together through a series of secure shoulder straps and a waist straps.Thanks to the strap systems' slide-adjustable loops the AK Chest Rig can be adjusted to a custom and secure fit to accommodate users of all sizes and shapes. Quick-release buckles and 4 additional D-Ring loops can be found along the shoulder straps for extra support. 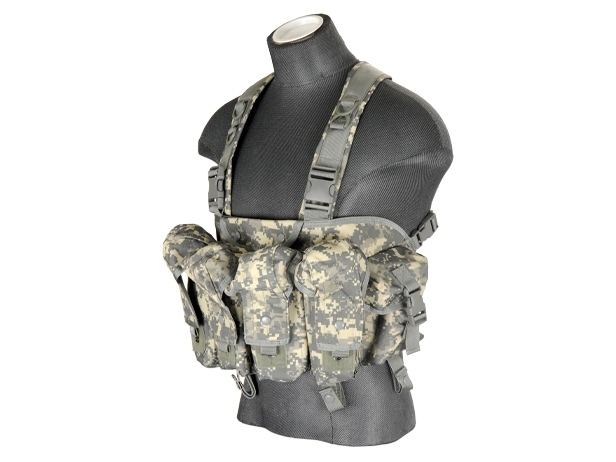 Made with 600 Denier polyester materials this chest rig is sure to hold its own in the heat of battle whether you're running, gunning, or under fire.